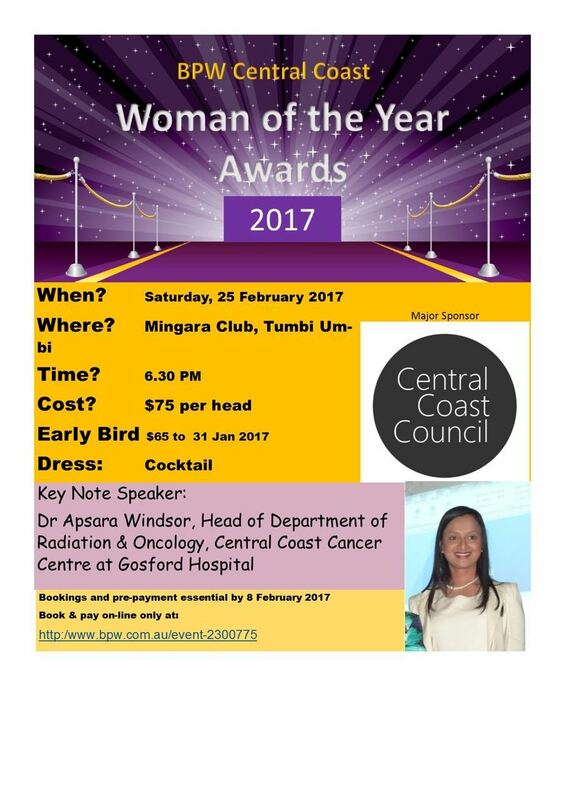 BPW Central Coast Woman of the Year will be held at Mingara on 25 February 2017. Early Bird tickets $65 includes 2 course meal up to 29 January 2016. Tickets purchased after 29January will be $75. If you have any special dietary requirements please email these to bpwcentralcoast.com.au stating your name and requirements.